We all remember Bollywood's very own evergreen Cowboy Feroz Khan who has always played the flamboyant hero and has been one of the most loved and respected actors of the Indian Cinema. Unfortunately, Feroz Khan is no more with us but he has his son Fardeen Khan who kept reminding us the meaning of a handsome hunk. Right from his first movie Prem Aagan, Fardeen Khan became a face hard to ignore and although this movie flopped at the box office but Fardeen's cute and hot looks were more than enough to please the filmmakers to give endless chances to Fardeen for sizzling the big screen. Recently, when we spotted Fardeen Khan at a couple of events it was shocking for us to believe that it's the same handsome hunk we have been loving all these years. It's said Fardeen Khan was going through depression and break downs when he was trying to cope up with his father's demise and he has been struggling to give his best to his family. Fardeen Khan is happily married to his childhood sweetheart Natasha and after a long time, this couple was blessed with a baby girl and finally, Fardeen got the opportunity to welcome a new family member in his life and forget all his sorrows. But, all this has taken a toll on his health and looks. Fardeen Khan was considered to be a very good looking and a well maintained actor although his acting skills never impressed the audiences much, but his looks have been enough to hold the attention towards him. 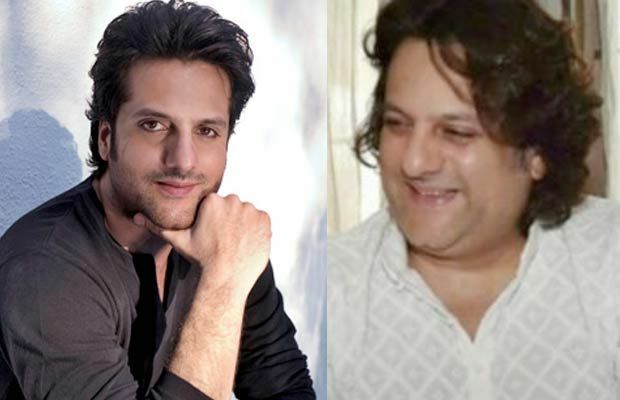 Unfortunately, Fardeen Khan has put on a lot of weight and he is trying to make a comeback on silver screen but honestly, we were shocked to see him this way. It's so hard to digest the fact that it's the same Fardeen Khan who has been the rage for the girls out there and now he looks so old, stressed out, and he needs to get a trainer first to exercise well, lose all those extra kilos of weight and than think of coming back into a movie.